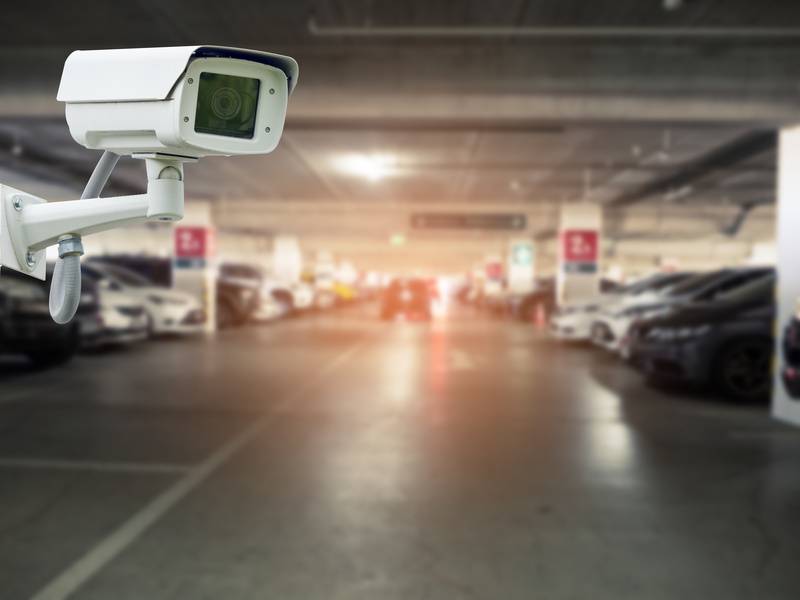 These systems help business owners and managers when they’re out of town, when they’re onsite but far removed from the physical area that needs attention, and of equal importance, these surveillance systems help answer the question of “What the heck just happened?”. Obviously, to take advantage of the above benefits you need a security camera in the right place, with the right field of view, and with the right capabilities to overcome or survive in the environment in which it’s placed. That’s pretty basic to most business owners, but sadly, few business owners think much beyond the limits of their property, their four walls, or what’s of direct value to them. However, there is a greater good to consider. The greater good is the ability of a privately owned surveillance system to help local law enforcement apprehend those who break our laws and make our communities unsafe for our families. A few years ago a local detective walked into our office and said he noticed we had security cameras on our building. He then explained he was working on a murder investigation. He said there was a reason to believe the killer walked across our parking lot in the early hours of the morning the murder occurred. He went on to explain he had been contacting business along the suspected path the killer took in order to put together a video trail of his actions. Had we not had cameras watching beyond our front doors, we would not have been able to help in the investigation and it would most certainly have drug on. Potentially giving the killer time to escape and most certainly putting the community at greater risk. As it was, we had cameras set up for parking lot surveillance, we had cameras watching the nearest intersection, we had cameras watching the front porch to our building. It’s in being aware of and being willing to dedicate a camera on those areas near your own facility that the greater good comes in to play. In all fairness, we had years ago learned our lesson the hard way when our neighbors, a Lone Star Steak House, had a fire and their restaurant was lost. Despite the fact that our building was less than 100 feet away. Despite the fact that we own and occupy a four-story office building with a great view of our surroundings. Despite the fact that we are in the business of providing surveillance systems to business for management control. We did not have a single camera on the west side of our building watching anything other than our own back door. The cost of adding a camera to point in the direction of the restaurant would have been negligible. The benefit of being able to possibly see when, where, or how the first started the burned down the Lone Star right next door, would have been invaluable to the restaurant owners, the insurance company, and the Fire Marshal. An even more potentially serious failure to think of the greater good involves an Italian restaurant and an adjoining Subway. Both had cameras watching their registers, their dining area, and their doors (from the inside). Neither had cameras watching the parking lot. One night I was enjouing dinner at the Italian restaurant when a young lady in a Subway uniform came running in. She was clearly in a panic. As I was soon to learn a gunman had just walked into the Subway, jumped the counter, pointed his gun at the staff, and demanded they open the registers. They ignored every word he said and ran for their lives. The police were there within minutes. The internal cameras at Subway showed the gunman and the full extent of what followed. What internal cameras along could not show the police was the color, make, or model of car, if any, the gunman had arrived in. They could not show the police if there was an accomplice or if the gunman acted alone. They could not show the police the direction the gunman fled. Not knowing anything about the suspect other than what the internal cameras could show, there was no arrest, there was no lucky break based on additional information. Instead, there was an armed robber on the loose and free to rob again. There was no greater good done by either of the two business in this story because neither had bothered to watch any of their surroundings. So, if you’re considering a security system for business surveillance, please take a moment and think what greater good you might be able to do someday for your community with just one additional camera placed in a strategic location to watch beyond your four walls.